Last week I took Aiden to the happiest place on Earth -- good 'ol Walt Disney World. If you're apart of the Mommy Delicious community on Facebook or keep up with the deliciousness on Twitter, then you may already know this. If you're not, then go get you some of that! Pronto. Throughout the week, I tweeted and posted about some of our favorite adventures -- Epcot, Animal Kingdom, Magic Kingdom, Cirque du Soleil at Downtown Disney, the resorts' hot tub, and ferry rides galore. We had an amazing time. But getting through five days in Disney World with a toddler wasn't easy. At all. Like when he was sleepy at Animal Kingdom and in the middle of his tantrum, kept taking off his shoes and throwing them. Until I finally got the hint and took them away from him. Or when he came thisclose to peeing on himself after I JUST took him to the bathroom and thought he got it all out. Apparently he did not. Or when we were at the resorts' bus stop, ready to board and head off to Epcot, and he insisted that he was cold. So we got off the line to go back to our room for his sweater. It was not fun waiting for the next bus to come. But this scenario is the worst. I'd just ordered our lunch at Animal Kingdom. I was hot. And tired. Aiden was also hot and tired. As I carried our lunch on a heavy tray from one end of the outdoor restaurant all the way to the other end of the restaurant, I kept looking for a table for us to sit and looking down to make sure Aiden was walking next to me. Multi-tasking at it's finest. When we got to the other end of the restaurant, I watched as Aiden attempted to pick up his hot dog and DROPPED it, by accident of course. I think I let out a huge sigh at that point as I tried to release my obvious frustration. I don't say this to put a damper on our trip. We had a fantastic time. But like I said, it was not easy. At all. I learned to put on my big girl pants and single mom shoes and work it. Big time. I learned to think fast, plan strategically, and have several jokes on hand to make the kid laugh. Some people thought I was nuts for taking Aiden to Disney World. Truth is, I could have given him a picture of Buzz Lightyear, who is one of his favorite Disney characters, or popped in his Toy Story DVD and he may have been just as delighted. But I want my kid to have as many experiences as possible, even if he grows up in a single parent household. It's just us two and it's up to me to ensure that come heck or high water, Aiden's life will be lovely. His life already is lovely. Because I'm his Mother. And I make sure of that. And I'll continue to make sure of that. You go girl! My hat is off to ya! I was a single parent for over 20 years. I never had enough monies to take my children on such lavish adventures. It might have been hard but you did it! You go girl! And I have a secret, though you might have gotten tired with vacationing with your son alone, it is ten times worse when you have a worthless mate tagging along. Laughter! You go girl! I am proud of you! I will try to follow more of your writings, but you go girl! Your are truly amazing! I never get tired of saying it! Aiden is so lucky to have you as a mom. Its these little things that kids remember as they get older. What a beautiful foundation of a sense of family that you are creating for Aiden. So glad you got to take this trip! oh wow! That is my ultimate trip you know! I almost got married at disneyworld. Welldone for taking him! some of my treasured memories are the time my mom & I went on trips together. Wonderful job, Mama! I'm dreaming of the day I can take my own to Disney but as a single mother of THREE ... well, I'm waiting till they are a bit older. Well, I'm glad you didn't listen to those ppl who thought you shouldn't have taken him. If you're constantly limiting the places you and him can go based on the the fact that you're a single mom you all wouldn't go a lot of places. I think ppl need to get over there preconceptions of parenting in general. I say to each their own. I am glad that you are defying the odds and not letting other ppl's opinion stop you and Aiden from having fun and enjoying life like any other family does!! I know new places and new things are hard with two parents around, I don't even want to imagine what it is like alone. You have given me hope that one day I will be able to venture off to Disney World by myself with 3 kids in tow. The pictures are great (sniffs my external drive crashed and I lost everything). Be sure to whip them out from time to time and take a trip down memory lane with Aiden. Who cares if others think it was a waste? My kid and I travel as much as my monies allow and he's been out of the country. Single moms aren't restricted to local parks and free events. Plan and save! Aiden will growup to appreciate your love and the life you provide. My mini-me thinks the world of little old me, his divamom. Having a spouse who acts like a child makes me feel like a single parent sometimes. But you are doing a better job handling it then me! Thanks so much for the support, everyone! It was quite an adventure, it wasn't easy, but I always say, it was worth it. The memories and the life experiences... all worth it. No need to let my single mom status affect my son's life... right? You are absolutely right. You're doing a great job. You are giving him the memories that matter. 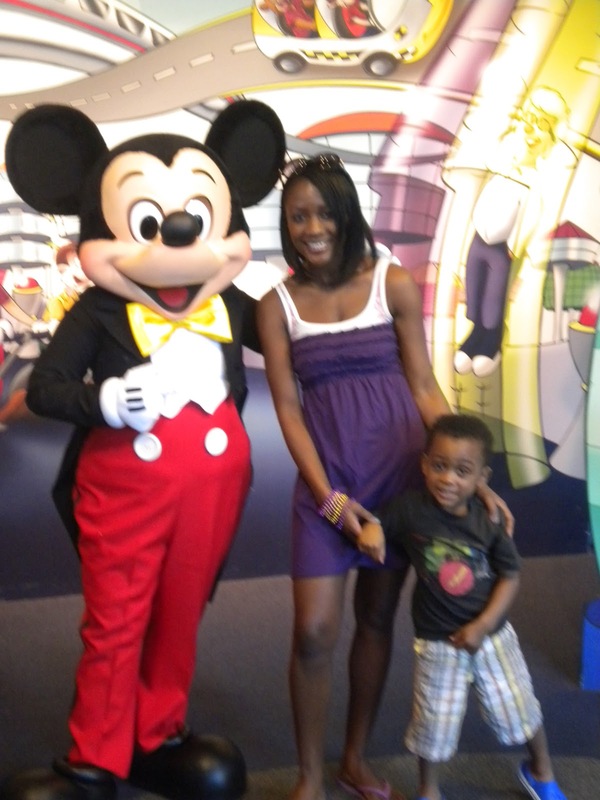 I'm glad you both enjoyed Disneyland and be encouraged!! I stil find it absolutely amazing that you did this all by yourself. You are incredible! Aiden is going to remember this trip forever and he has you to thank for that. You are such an awesome mom!! I'm sure it wasn't easy but later on, you'll only remember the good times. That picture of Aidan in the Buzz costume might be the cutest thing I've ever seen. You're a strong woman! I can't imagine parenting solo ever day. 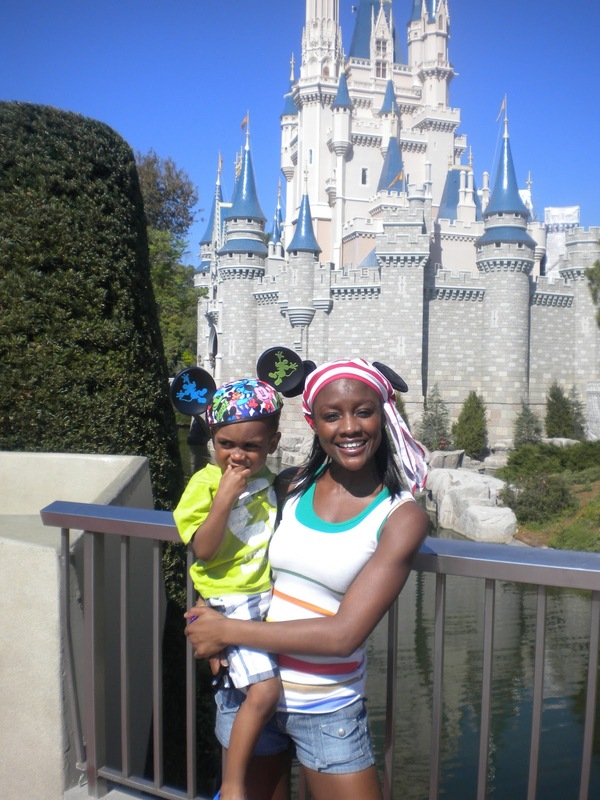 You are obviously creating beautiful memories for your son - and not just at Disney World. Your love for him is evident. P.S. That purple dress is pretty on you! Great color. Reading this has seriously calmed my nerves. I'm taking my 3 year ill to san Diego sea world at the end of the month. We are flying from Louisiana to San Diego by ourselves! I'm so nervous but reading this has really got me excited again! I understand you completely. Me as a single mom too, I've been having hard time planning for a trip especially when my child is still a toddler. But found a great solution to end my agony, found the Stroller Rental in Disney.